Yep, its this time of the year again where some kids will begin to learn about antonyms, homonyms, rhyme and a myriad of other wonderful, delicate and tasteful wordplay. Teaching these can be traumatizing or you can make it simply fun. Have a look at the above activity which is not for the fainthearted. Not an easy exercise but not impossible either. Should you be wanting to teach more than what's on this online game then check out the instant, downloadable printable available from Teaching Treasures Publications which is an absolute essential for anyone teaching about Antonyms, Homophones & Rhyme. 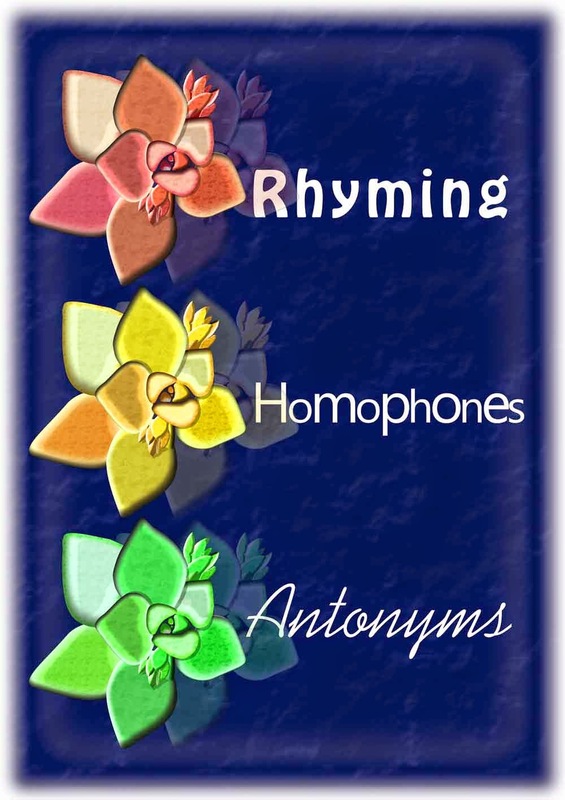 Description: Improve student’s ability to use rhyming words, homophones and antonyms with this excellent resource for upper primary, lower high school, ESL students or young adults with learning disabilities. Write sentences using homophones correctly, improve spelling with words that rhyme and reinforce student knowledge with many antonym worksheets to choose from. Suitable for individual learning, in pairs or collaborate as a small group.